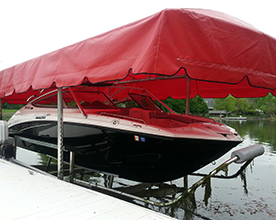 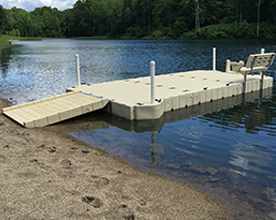 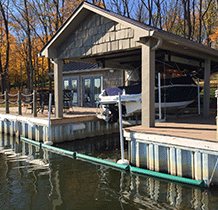 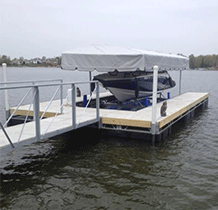 Known for superb stability and superior strength, our custom dock system allows the customer the ultimate in lifetime performance. 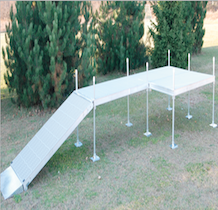 Great for water tables with little water fluctuation, and under 10′ depths. 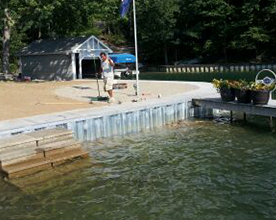 Light weight sections make for an easy install. 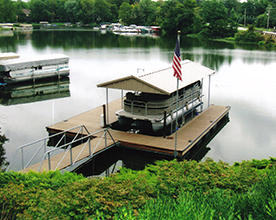 Our boat houses are designed, permitted and built tailored to space requirements & customers desires. 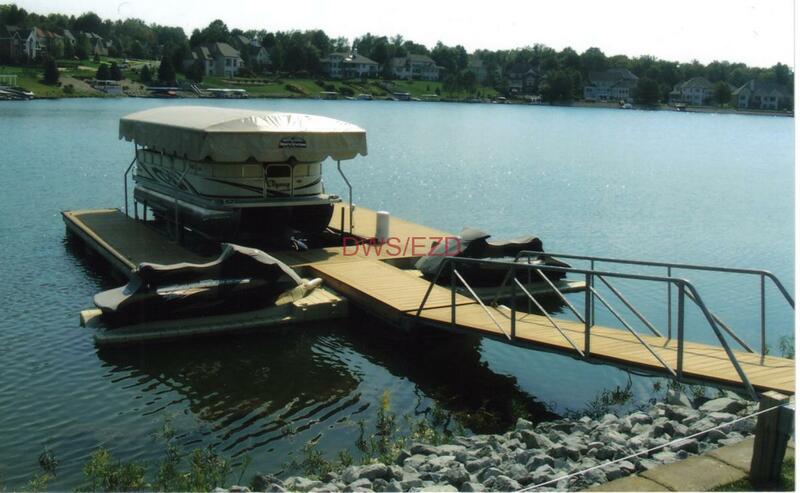 What’s the Best Material for My Dock?